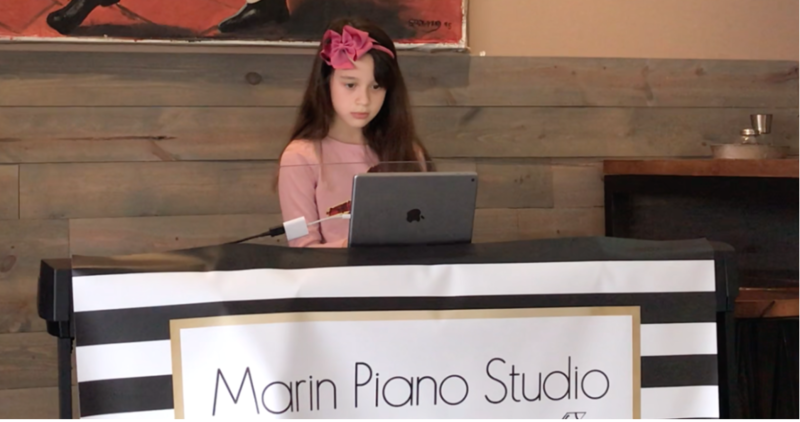 At Marin Piano Studio, students get to take party in abundant performance opportunities. Performing in front of others increases motivation, joy, and self-confidence. Students can choose as many or as few events in which they would like to participate. No matter what age or level students are, there is something for everyone. Here are just a few of these great opportunities. 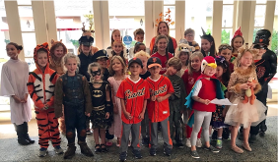 This spooky performancetakes place at Aegis Living in Corte Madera. Come and cheer on your child at this open house recital party where students have the opportunity to play in costume for family and friends. Come celebrate the season and enjoy student performances of holiday music at this cozy recital. All children decorate gingerbread houses while adult enjoy a lovely reception. Come hear some rising rockstars! Students perform popular songs on a digital piano with backing tracks at a hip, local cafe. Super-cool! 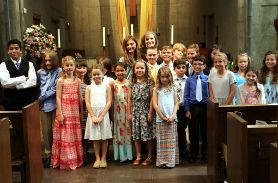 Students dress up in their finest outfits and perform pieces that they have worked on for a couple of months. Awards and lovely celebratory reception, afterwards! Drop your piano student off for a Saturday morning of fun! Students will perform for each other, we'll play some music games, and enjoy Stefanos pizza and homemade chocolate chip cookies!